Background/Purpose: The development of clinical signs and symptoms of seropositive rheumatoid arthritis (RA) is often preceded by a phase of systemic autoimmunity. This offers a window of opportunity to delay or prevent the development of clinically manifest arthritis.This could represent a paradigm shift from treatment to prevention1. B cells could be a good target as they play a key role in the pathogenesis of the disease. The purpose of this study is to explore the effects of a single infusion of the anti-CD20 antibody rituximab on the onset of clinically manifest arthritis in individuals at risk of developing autoantibody positeve RA. Methods: Eighty-two subjects with arthralgia and positive serology for both anti-citrullinated protein antibodies (ACPA) and rheumatoid factor, who never had clinically manifest arthritis and never used disease-modifying antirheumatic drugs were included in the PRAIRI study, a multicentre, randomised, double-blind, placebo-controlled clinical trial. Subjects were randomized to receive a single infusion of either 1000 mg rituximab or placebo after all receiving 100 mg methylprednisolone premedication. Subjects were prospectively followed to assess development of clinically manifest arthritis and change in biomarkers. Kaplan-Meier survival analysis, Cox regression analysis and Treatment*Time Cox proportional hazard ratios were used to determine the treatment effects. Results: Eighty-one individuals (52 females; mean age 53 (IQR 13.5) years) received treatment, which was generally well tolerated. One patient withdrew before treatment. The median follow up was 29.0 months (0-54), during which 30 subjects developed arthritis: 16/40 (40%) in the placebo group and 14/41(34%) in the rituximab group, after a median period of 11.5 (interquartile range [IQR] 12.5) months in the placebo group versus 16.5 (IQR 19.0) months in the rituximab group. Rituximab decreased the risk with 55% (HR (95%CI) 0.45 (0.154-1.322) at 12 months follow up compared to the observed risk of developing arthritis in the placebo group of 40%. At the 25% quartile (75% free of arthritis) of the cumulative arthritis-free survival there was a delay in the development of arthritis of 12.0 months (12 months versus 24 months in the placebo vs rituximab group, respectively). As expected, this effect attenuated over time. Treatment*Time Cox proportional hazard analysis showed that the beneficial effect of rituximab was highly statistically significant (P<0.0001). Biomarkers were measured over time shedding light on the potential mechanism underlying the delay in arthritis development. Disclosure: D. M. Gerlag, Filing for patent application has been done by the university. Author may - to a limited extent - become one of the beneficiaries. Author is currently employee of GSK, but was not involved in data analysis., 3; M. Safy, None; K. I. Maijer, None; S. W. Tas, None; M. Starmans-kool, None; A. van Tubergen, None; M. Janssen, None; P. P. Tak, Setpoint Medical Corporation, 2. Gerlag DM, Safy M, Maijer KI, Tas SW, Starmans-kool M, van Tubergen A, Janssen M, Tak PP. A Single Infusion of Rituximab Delays the Onset of Arthritis in Subjects at High Risk of Developing RA [abstract]. Arthritis Rheumatol. 2016; 68 (suppl 10). 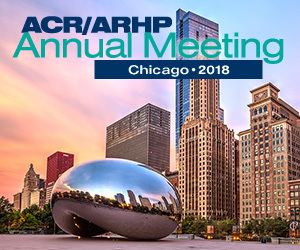 https://acrabstracts.org/abstract/a-single-infusion-of-rituximab-delays-the-onset-of-arthritis-in-subjects-at-high-risk-of-developing-ra/. Accessed April 21, 2019.